Spring blossoms all year long with this artful design. 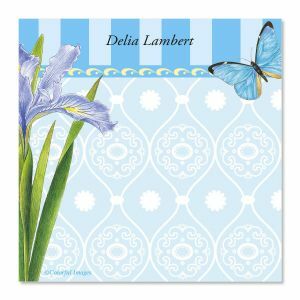 Great on your desk, by the phone, or in the kitchen, 400 colorful, 3 1/4" x 3 1/4"-square sheets personalized with your name or one-line message. Specify Script or Block typestyle and up to 24 characters and spaces. 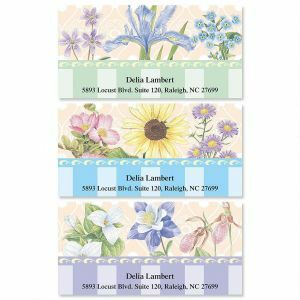 A gallery of soft watercolor-style flowers and the personalization you choose combine to uniquely highlight your memos. The 4 pads in the handy 4-Pad memo set means you can put one by the phone, one in the kitchen, one on the nightstand, and one in your purse. Ideal for all your memo-taking, note-writing, list-making needs; great for everything from listing groceries to recipe copying. 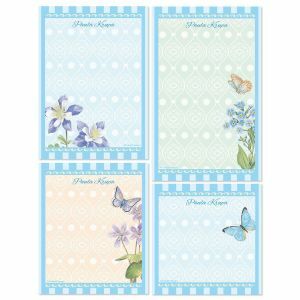 Set includes 4 coordinating 50-sheet pads personalized with the name or message you specify. Largest pad is 4 1/4" x 7 3/4". 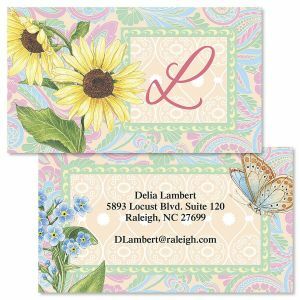 Fresh floral design provides an impressive highlight for your contact information. A professional way to identify yourself to friends or associates, you receive 250 business/calling cards with the personalization you specify. Choose a cheery little bouquet to accentuate all your letters and notes. 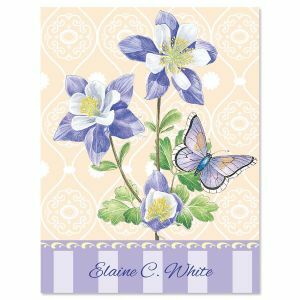 Set includes 12 stunning 4 1/4" x 5 1/2" note cards and white envelopes. 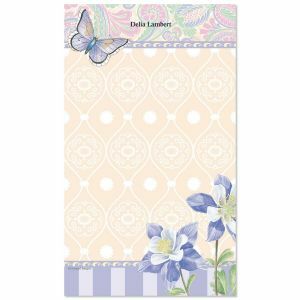 Ideal for thank you notes, invitations, and everyday correspondence; all cards are personalized on front and blank inside. Elegant design highlights your personalization, pretty flowers give your notes a fresh-from-the-garden ambience! Great for writing letters and leaving messages—as a gift it's ideal anytime, for any occasion! We'll print yours with the name, message, or information you specify. You receive one 50-sheet, 5" x 8 1/2" pad.